The Red Sox say they were unrelated. 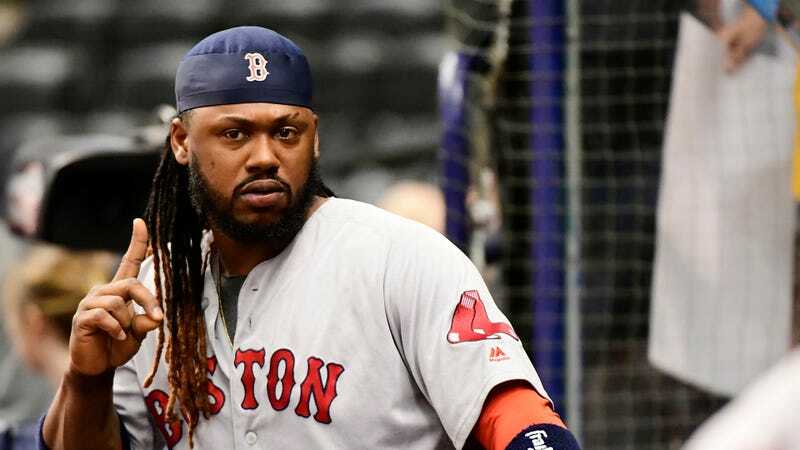 That’s entirely believable; Ramirez was only batting .163 in May before his June 1st release, and the team needed to clear a roster spot for Dustin Pedroia to return from the DL. Ramirez’s agent says he has no awareness of an investigation at all. But as Heavy.com notes, a lot of facts line up with McPhee’s reporting; she said the man who Facetimed Ramirez was caught with 435 grams of fentanyl and seven grams of crack, the same amount a state press release says 29-year-old Delcio Rodriguez was arrested for on June 6. A federal case, announced in Boston today, also links a Dominican national with charges of conspiracy to distribute and to possess with intent to distribute 400 grams or more of fentanyl. McPhee told WBZ that more information will turn up Monday morning as the district court docket becomes available.